Transport Layer Security (TLS) is a security standard commonly used to protect data communication over the Internet. It is one of the strongest encryption technologies and is used by large-scale online merchants, banks and brokerages worldwide. 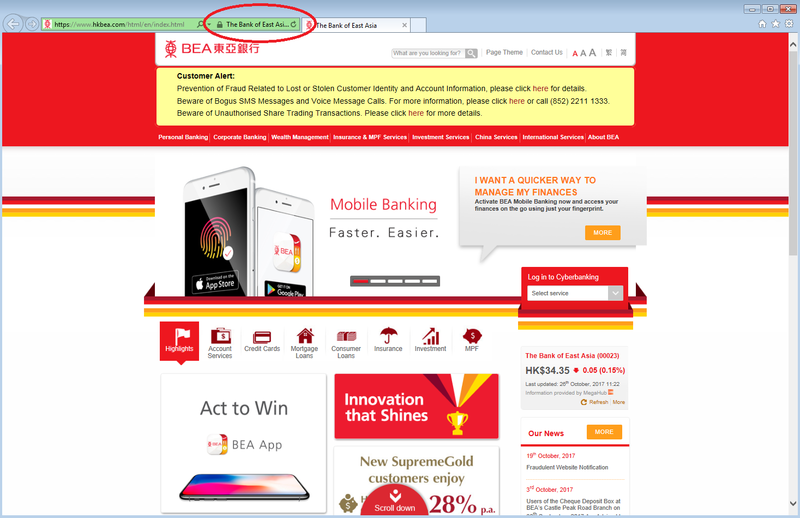 BEA’s corporate website employs Transport Layer Security (TLS) to allow you to browse our full range of information safely, while preventing third parties from accessing any private data between you and the Bank. 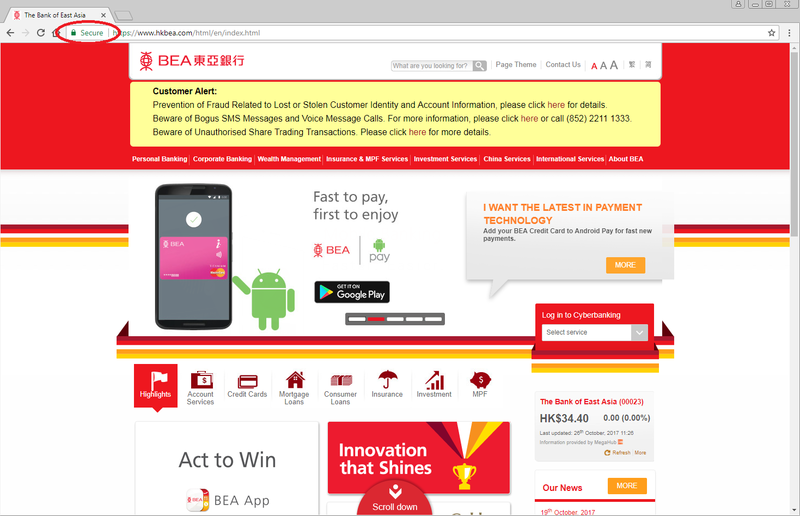 Can I access BEA’s corporate website if my browser doesn’t support Transport Layer Security (TLS)? No, you won’t be able to access BEA’s corporate website if your browser doesn’t support Transport Layer Security (TLS). How can I ensure my browser is utilizing Transport Layer Security (TLS)? When you are on our corporate website, please look for the “security icon” in your browser’s address bar. In Internet Explorer, the security icon is located inside the address bar, to the right of the web address (as circled below). In Chrome, the security icon precedes the address inside the address bar (as circled below). What is a firewall, and do I need one to access BEA’s corporate website? Firewalls are designed to create a secure divide between the Internet and your computer system, thus preventing hackers from accessing it. When a firewall is properly configured, it can help to block all unauthorized messages from entering or leaving your computer’s network. Though not compulsory, installing a firewall is recommended as it can help to block computer viruses and protect your computer from cyber-attack.